Below are more ways of improving your children’s behavior without bringing out the big guns. As with the last batch of suggestions, these defuse tension by relying on a sense of humor, which gets you results without resentment. Sometimes it’s hard for people in families (and elsewhere!) to take the bull by the horns when they get mad. Ideally, someone would say, “You know what? We need to talk. 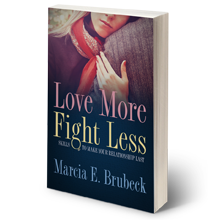 I am really angry with you!” This intervention is designed to help members of your family honor negative feelings. First make the doghouse. It should be roughly house shaped (a square with a pointy roof) and have room inside to hold a tag for each family member. It should also have space outside the doghouse for the tags to be stored when not in use. You will want to hang it on the wall in a prominent place (perhaps the kitchen). Your doghouse can be a cutout, or an outline on a piece of cardboard, with cardboard name tags attached using pieces of Velcro tape. You might also make a durable plywood doghouse, painted or varnished. Your tags can be plain or dog shaped, as you choose. (You can also buy packages of the round tags sold to identify keys.) When construction is complete, tell your family that anyone who has a beef with anyone else in the household should hang the offender’s name in the doghouse. When someone is in the doghouse, the Powers That Be (one or both parents) will know that it’s time to call a meeting, invite the plaintiff to speak, and solve the problem. If you have one or two people in your family who hold everyone else back by failing to be ready on time for outings (or even for dinner), wrack your brains for a short, silly song. If you can’t think of one, ask other family members for suggestions. You might try “Row, Row, Row Your Boat”—or you could borrow from my father’s extensive repertory: “The waiter hollered down the hall, `There’s no bread, sir, with one meatball'” (the refrain repeats)—or you could pick your own tune. Explain to family members that from now on, anyone who isn’t ready for action at the agreed-upon time must perform the ditty on the spot for the rest of the family. This intervention was provided by a schoolteacher who tired of watching stragglers enter the classroom after he had started talking. Sometimes children argue incessantly whenever a parent says no. Solve this problem in your household by generating a pack of No Certificates on your computer. Explain to your child that certificates can be redeemed for special prizes. Five certificates, for instance, might get your junior advocate more time with you, an outing to a favorite park or to a ball game, or something else that is interactive and strengthens your relationship. To counteract the allure of many well-known swears, it may help to have a few satisfying alternatives. To locate yours, grab the biggest dictionary you can find, and call a family meeting. When you make an unpopular decision, does your youngster ask why repeatedly, dispute your explanations, and use other delaying tactics until you scream “Because I said so!”? If so, it may be time for a change in procedure. Tell your child that from now on, you will follow the rules used by lawyers in court. Each time you issue a directive, your child will be entitled to ask why—just once. You will offer the explanation. Thereafter, if your child repeats the question, you will simply say, “Asked and answered.” This phrase is opposing counsel’s objection when the examining attorney utters a question to which the witness has already responded. You can tell your child that you expect compliance once the explanation has been given. Where particularly controversial rulings are concerned, you may want to allow for one (1) appeal (one chance for your child to restate her case showing why you should decide in her favor). You can explain this policy, and you can decide when circumstances warrant the exercise of the right to appeal. This intervention is designed for parents and other adults who find themselves saying the same thing over and over again without seeing results and without feeling heard. You will need your cell phone. Good speakers are nice but not essential for playback. Once you have made your tape, deliver the message live and in person just once. If it isn’t heard the first time, put the tape in the machine, hit “play,” and adjust the volume. This intervention builds on the doghouse and negotiating skills discussed elsewhere. The idea is that when someone in the family breaks a household rule, you as the parent act as a facilitator to ensure that everyone is heard, an apology is offered, and the offender makes amends. For example, if the problem is that one child has invaded a sibling’s territory and has “borrowed” a prized possession without first asking permission, the offender would need to compensate the victim for the injury. There are many forms of compensation, but one that I like involves having the offender go to work for the victim. The offender might have to make beds, wash dishes, clean the cat box, or carry out the garbage for a few hours or a day if these are chores that the victim usually performs. Alternatively, the victim could enjoy special privileges for a few hours or a day—decide what video or television shows the family will watch one evening, what foods will be served for dinner, what games will be played, or where the family will take a weekend outing. A homemade crown and scepter may help reinforce the point. After you have done this a few times, you and he both should be laughing at the silliness of it. On other occasions when you see him sulking about something minor, try saying, “You look grumpy. Would you like me to oof you?” The idea should bring a smile to both your faces.